"Tratturi is the word for the ancient drovers trails in the countryside of Puglia that shepherds used in the old days to bring their flocks of sheep and other animals down from the mountains in autumn. This countryside of Puglia, specifically the subzone of Salento, is the source of this bold, spicy, and delicious Primitivo. Primitivo is said be related to the Zinfandel grape which many old Italian immigrants planted in Northern California in the late 19th and early 20th century. 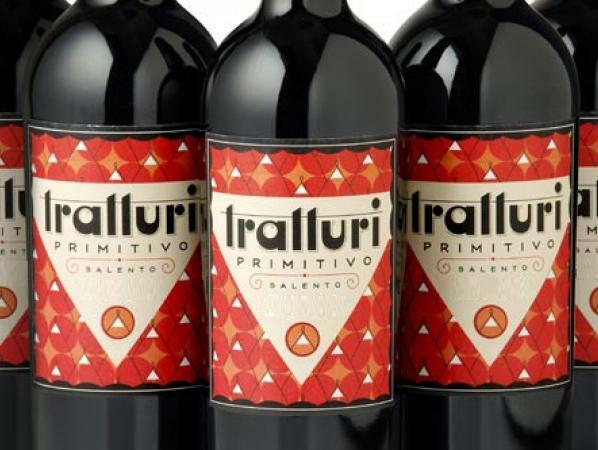 The Tratturi label was inspired by the designs of Italy of this era. The background of the label is made up of Trulli houses, which dot the countryside in Puglia. The Tratturi Primitivo, made for us by the Botter winery, was aged entirely in tank. It's round, spicy profile is a perfect match for pasta, pizza, or anything off the BBQ."